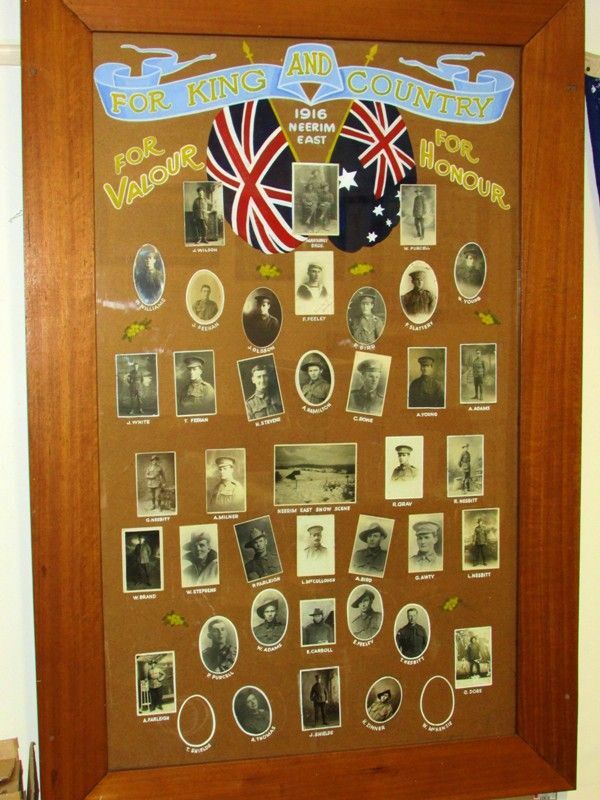 Neerim East Honour Roll is a photographic roll commemorating those who enlisted in World War One. 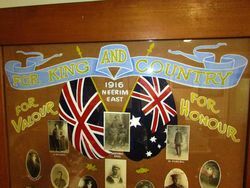 The original roll was unveiled in the Neerim East Hall on the 11th August 1916. 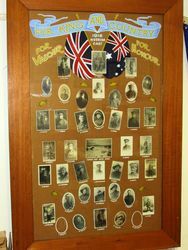 The Neerim East Hall was crowded on Friday evening, 11th inst, on the occasion of the unveiling of the roll of honour photo frame, of those who have enlisted from Neerim East. The frame of photos consisting of over 40 speaking likenesses of our lads, is a fine specimen of the craftsman's art, being of solid oak, 6ft X 4ft. especially illuminated. The chairman, Cr H. Rowe made a very appropriate speech, eulogising the absent ones, and spoke, with much feeling to the relatives of those who had given of their best to the cause, after which he called on Mrs Rowe to perform the unveiling ceremony. Gippsland Independent, Buln Buln, Warragul, Berwick, Poowong and Jeetho Shire Advocate (Vic), 25 August 1916.